​Brighton & Hove Albion face Watford in the Premier League at the Amex Stadium on Saturday with both sides looking to get back to winning ways. The Seagulls' second-half capitulation against Fulham on Tuesday saw them throw away a two-goal lead as they conceded four in the space of 32 minutes at Craven Cottage. Having won just one of their last five league games, manager Chris Hughton will be hoping that his team will produce a spirited performance in front of their home supporters at the weekend. ​Watford were also victims of a comeback in the midweek as they lost 2-1 against Tottenham Hotspur despite taking the lead at Wembley through Craig Cathcart. With the Hornets currently ninth in the Premier League, manager Javi Gracia knows that a strong second-half to the season could see his side achieve a top-seven finish which may secure European football for the club. 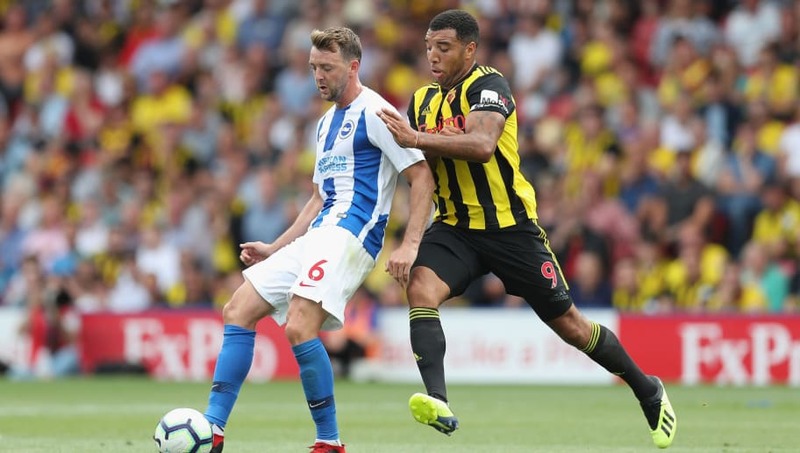 With the result at the weekend sure to have a significant impact on the fortunes of both Watford and ​Brighton, it promises to be an open match with both sides fancying their chances of victory. Hughton could welcome back defender Bernardo to his starting eleven after the Brazilian returned to training earlier this week, whilst record-signing Alireza Jahanbakhsh may also feature following his return from international duty with Iran at the Asian Cup. Winger Jose Izquierdo will not be available for Saturday's clash however as he is still ruled out with a knee injury, yet new signings Jan Mlakar and Tudor-Cristian Baluta could both make their debuts for the Seagulls. Watford will be without defenders Kiko Femenia and Sebastien Prodl who are both sidelined with injuries whilst star midfielder Abdoulaye Doucoure is not expected to feature having missed Wednesday's game at Spurs. Forward Isaac Success is pushing for a start in the absence of Andre Gray, who was left out altogether by boss Gracia for their midweek fixture despite scoring in the FA Cup last week against ​Newcastle United. Brighton and Watford have met on three occasions in the Premier League with both sides having won one game each. The Hornets were victorious in the corresponding fixture in August as a brace from Roberto Pereyra gave Gracia's side their first three points of the season. In the overall head to head stakes, the Seagulls have won 44 games which is eight more than Watford, with 33 draws between the two teams. Brighton's recent form in the Premier League has been very poor as Hughton's side have won just two of their last ten games in England's top division. A victory over Watford would be their first league triumph in 2019 and could move them to within two points of ​West Ham United who are currently twelfth. The Hornets have also been experiencing a mixed run of results in recent weeks as they have picked up just six points from their last five games. Gracia will be hoping that his side can bounce back from t​​heir defeat to Spurs in midweek by securing what would be their fifth away victory of the season. As Brighton and Watford have only managed to keep eight clean sheets this season from a combined total of 48 Premier League games, Saturday's game should deliver in terms of featuring goals. The Seagulls' record at the Amex has seen them lose just three games at home during this year's campaign, which has helped them steer clear of being dragged into a possible relegation battle. Yet if Brighton are to end their poor run in the league they will have to be wary of a Watford side who are more than capable of producing on their travels, having lost just four of their twelve away games this season. With both sides in need of a victory, the talent on show will rule each other out in what should be a high-scoring affair. Prediction - Brighton & Hove Albion 2-2 Watford.